Augusta (population 600) is located on Illinois Route 61 at the intersection of Illinois Route 101 in western Illinois. The town sits in the far southeastern corner of Hancock County. A larger town of note is Quincy, approximately 35 miles southwest of Augusta. A branch of the Williams Creek runs through the south side of town and the At & St Railroad has tracks running through the center of town. 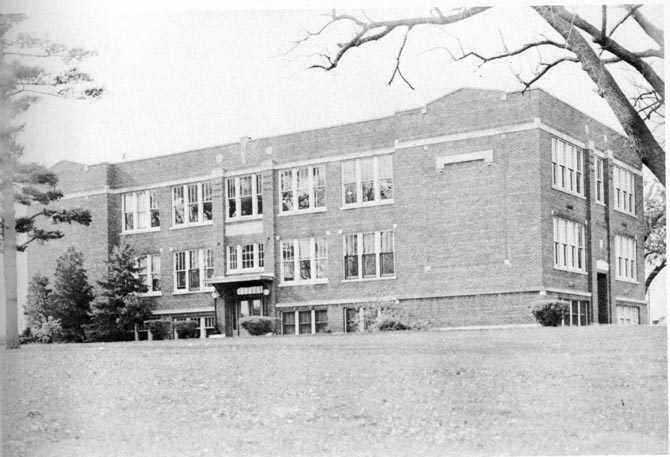 Augusta's residents enjoyed their own high school until a consolidation effort took place in 1970. That year Augusta consolidated with nearby Bowen High School to form the Southeastern School District. The Plymouth School District joined Southeastern later and now the three towns enjoy the success of their joint school district. 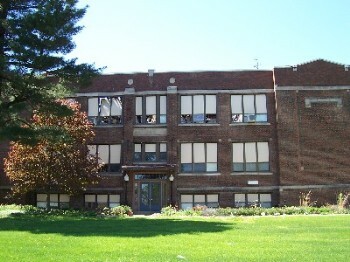 The High School is located in Augusta in the original high school building. "The original Augusta High School is located on North Center Street in Augusta and opened in 1857. This original school building is currently used by the Lions Club for meetings and activities. The grounds are a city park. In 1919 the school board voted to construct a new high school on what was then known as "Catlin Hill". Joel Catlin, the founder of Augusta, built his home atop this hill, and hence the name of Catlin Hill. The new school building opened in 1921. The building and wooded hill make for a beautiful high school campus. The school was known as Augusta High School until the 1970 consolidation with Bowen and later Plymouth to form the Southeastern School District. Southeastern High has always been located at this former Augusta High School's beautiful campus. The Southeastern Grade School is located in Bowen and the lower grade school now in Plymouth." For a view of a photo of the original Augusta High School building check out the Roots Web address of http://www.rootsweb.com/~ilhancoc/postcard/augustahighschool1909.html - sent to us by Roberta Mc Kiski. Augusta High School "Quick Facts"
School Fight Song: "Augusta Loyalty"
We're loyal to you A.H.S. Our hearts are all true, A.H.S. And we're at your right hand, A.H.S.! We're proud of your colors to bear. Augusta High School enjoyed some great success in basketball over the course of its history. The basketball teams brought home 5 District titles and 3 Regional titles during its existence. Baseball and track were also offered to the boys. According to the Illinois High School Association web site (www.ihsa.org) Augusta won its last District title during the 1968-69 season. The Augusta Redskins had several close calls and fairly deep advances into the state tournament. They also won many Hancock County Tournament titles during their existence. Below are the championships and coach's names as we know them. "Coach Cooper (ACHS Class of 1934) coached at Colusa High School before WWII. After the war he came home to coach at Augusta. He did not have a losing season while coaching basketball at Augusta." Top 32 Teams in the STATE! The Redskins had a great reputation on the baseball diamond as well. Under the leadership of Coach Eugene "Doc" Cooper the Augusta High School kids won the Wenois and Lamoine Valley Conference Championships in 8 of the 12 years Coach "Doc" was at the helm! *Carroll "Woody" Woods - played on 1928 and 1930 County Champs. Went on to star at Western Illinois University. *Harold Chambers - guard on the 1928 County Champs. *John Juett - star of the 1955 Regional Champs/Sectional Finalists. *Larry Hiland - center and captain of the 1961 County Champs. *Jim Lucie - star guard of the 1961 County Champs. *Harry Elbe - Augusta's "Iron Man", long time coach of Central High School in Camp Point and a well-known personality in western Illinois.